Many college students balance a full load of classes and activities, but it’s pretty rare to juggle all that plus the crown of Miss Washington 2016. Alicia Cooper, a senior at Washington State University Vancouver, works as a real estate broker as she studies personnel psychology and human resources—and she was third runner-up for Miss America in 2016 after winning the Miss Washington competition. Hundreds of eager WSU seniors prepare to leave Pullman each spring after graduation. Some might be headed to new jobs or internships. Others will go to graduate school, the military, or the Peace Corps. Whatever the destination, almost all those Cougs have a common need: sturdy boxes. As they pack their crimson sweatshirts, posters, and books, the graduating students will carry away another reminder of their college days: free WSU-themed packing boxes. And they can thank Dave Wilson ’86 for his volunteer efforts in arranging delivery of about 1,500 of those boxes for the last eight years. Organizing a trip to a Major League Soccer game for 100 people could intimidate anyone. Not to mention a community garden, a networking meeting for young alumni, or even a WSU football viewing party. Fortunately, there’s an engine that drives the Cougar nation and its events: volunteers. Ashley MacMillan ’05, president of the Oregon Chapter of the WSU Alumni Association, has seen that engine work. “We have so many people here who are passionate about being involved with other Cougs, we’ve been able to diversify our events,” she says. Sweat trickled down his face as Mark Paxton ’76 threaded the surgical needle through the roof of his patient’s open mouth. In 95-degree heat and no air conditioning, the doctors in the Guatemalan operating room used white cloths to wipe away the moisture. The oral surgeon put down his tools and stepped back. 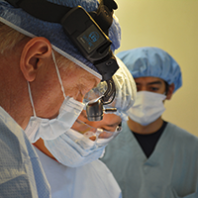 After 23 years of performing cleft lip and palate surgeries on medical mission trips to Zacapa, Guatemala, he has grown used to the intense and muggy conditions. Last fall in Vancouver, with the voter registration deadline looming, Dan Ogden ’44 wasn’t about to be held up by Parkinson’s disease or two artificial hips. He pushed his walker around his new apartment complex and through a recently completed cul-de-sac to make sure his neighbors could take part in the November general election. 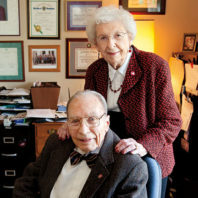 At his side was Val Ogden ’46, his partner in Democratic Party politics and wife of 66 years. She was spry enough to negotiate steps and stairways to ring doorbells beyond her husband’s reach. Quivering all over, a dirty yellow and white puppy with a large potbelly whimpers as a veterinarian injects it with saline fluids. The puppy is severely dehydrated and disoriented, unable to stand up on its own. 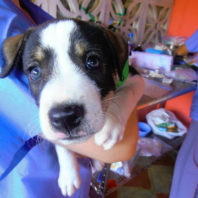 Chancho, as the veterinarians name him because of his pig-like round belly, initially had a grave prognosis. Found wandering along the street, and visibly weak with parasites and tremors, he did not have long to live. The puppy spends the night on intravenous fluids and medication. When the veterinarians return the next morning, his condition has improved. By the following day, they are confident he will survive. 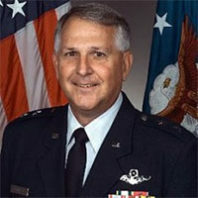 Carson had already attended several semesters of community college, was married, had served his country, and had only budgeted for two years in Pullman to finish his business degree. That a handful of phys. ed. credits stood in the way of his degree seemed absurd. 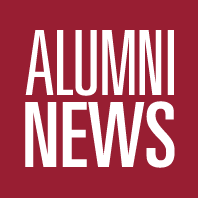 Robert Williams ’79, a banking executive, is the current president of the WSU Alumni Association. He started volunteering with the University in the 1980s by joining the advisory board for the College of Business and later found his way to the Alumni Association. He is also on the Board of Trustees for the WSU Foundation. Recently, Williams met with WSM’s Hannelore Sudermann to talk about his time as a student and what he enjoys about volunteering with the Alumni Association. During Spring Break 2010, a group of Washington State University students volunteered on the “Spring to Action Break for Change” program, sponsored by WSU’s Center for Sustaining Agriculture and Natural Resources and the Center for Civic Engagement. WSU students Cindy Ola, Ian Chittle, and Vanessa Balch describe the spring break program. Read about other young WSU alumni and humanitarians giving back in Time Out in the World, Summer 2010 issue.